My aunt frequently told me in her latter years that when she died she wanted to come back as a beautiful butterfly and spread her wings. When she passed we had a celebration of her life that included a monarch butterfly release on the beach she loved so much. My aunt was born with scoliosis of her spine, but she worked very hard not to let that slow her down throughout her 80 some years. She spread her wings, became a dancer, a dance instructor, a radio host and above all the most wonderful, loving aunt in the world. This painting is dedicated to Aunt Eleanor and to all who are facing obstacles to happiness. 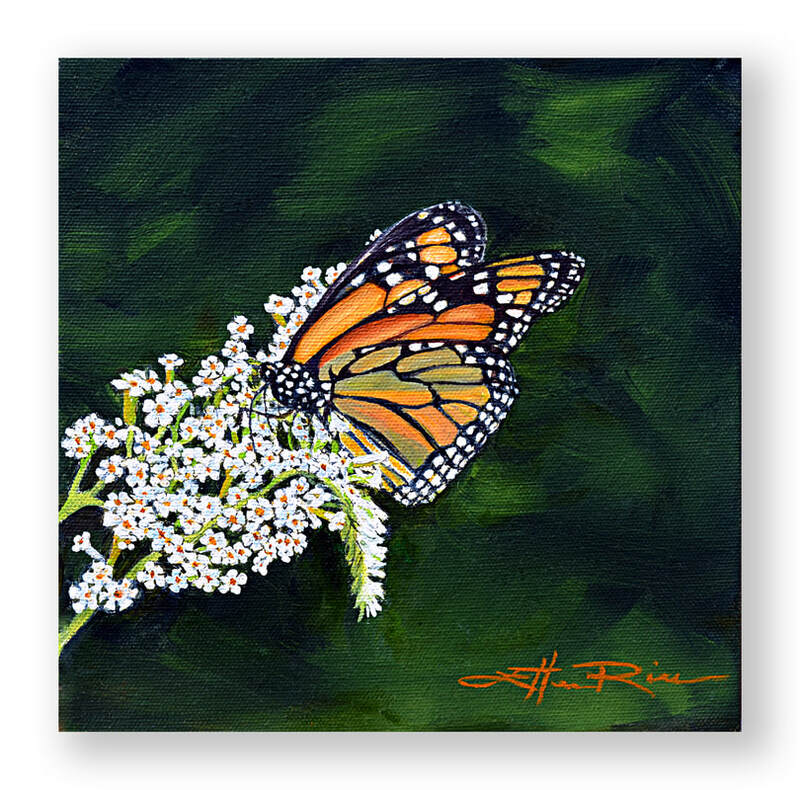 May this butterfly be a reminder to 'think on' whatsoever things are lovely and spread your wings!